ESL UK has announced the return of the Battle of the Brands tournament in support of the UK based gaming charity SpecialEffect. Last year, the tournament raised a whopping £16,729 for the charity and those involved will certainly be hoping for a repeat with the second iteration. ESL UK once again partners up with four of the UK’s largest tech specialists in Ebuyer, SCAN, BOX and PC Specialist as they return for a rematch. It will be broadcast live on Twitch once more and all money raised will go straight to SpecialEffect. 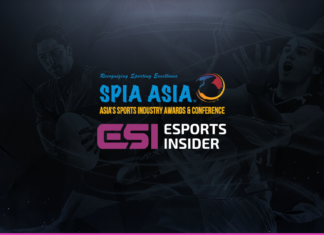 The event was born after a callout tweet from Ebuyer’s Gaming and Esports Marketing Manager Stephen James. From that, the event was born. He told ESI: “I wrote that tweet secretly hoping that something would come of this, but I had no idea it would grow into an annual event. When it first tweeted out the traction was like nothing we had ever seen so I messaged SCAN’s marketing manager and said “We kinda have to do this now don’t we”… from there it became clear we needed to do it for charity and so Battle of The Brands was born”. He continued: “I couldn’t be happier with how the first event went and to do it for Special Effect means the world to so much of us and helps so many people become what we all take for granted, gamers. Round two should be even better and once again we have come to win and go toe to toe to prove we’re the best gamers in the tech scene! See you on the battle field”. Each UK retailer team will donate at least £500 to start the campaign, and this year the teams will compete across CS:GO, Call of Duty Black Ops 4, Overwatch, Overcooked 2 and Dragon Ball Fighterz. SCAN were crowned champions first time out – but will they retain their title. You are able to donate and follow the fundraising story over at the Just Giving page. Tune in to watch the competition live on twitch.tv/esluk. Battle of the Brands will be streamed live from 12:00 GMT on January 6th, 2019. Esports Insider says: Nothing we love more to see than esports for charity. We’re sure the competition will be fierce as ever and here’s hoping that ESL UK can smash last year’s amazing total once more. A great initiative!